Cancellation-No charged before 5 days arriving date. I like the hostel in general, the atmosphere is okay but the hostel crew did not really make us feel comfortable. We felt like we had to be back in time and be quiet all the time even though the crew joined us on the roof terrace. All in all they were nice people though. 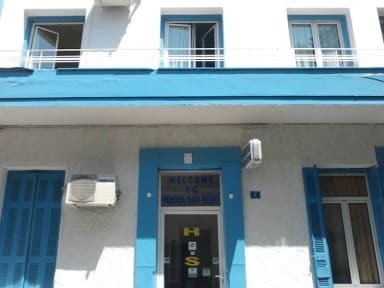 Nice hostel, very cheap so you cant expect much. Clean rooms, nice people. Very close to metro/trainstation. Bathrooms to small and are being used by to many people. We had 2 prive rooms, one was oke but the other one was a room without a window outside and no washing stand, you had to brush your teeth in the toilet/douche in the bathroom outside.